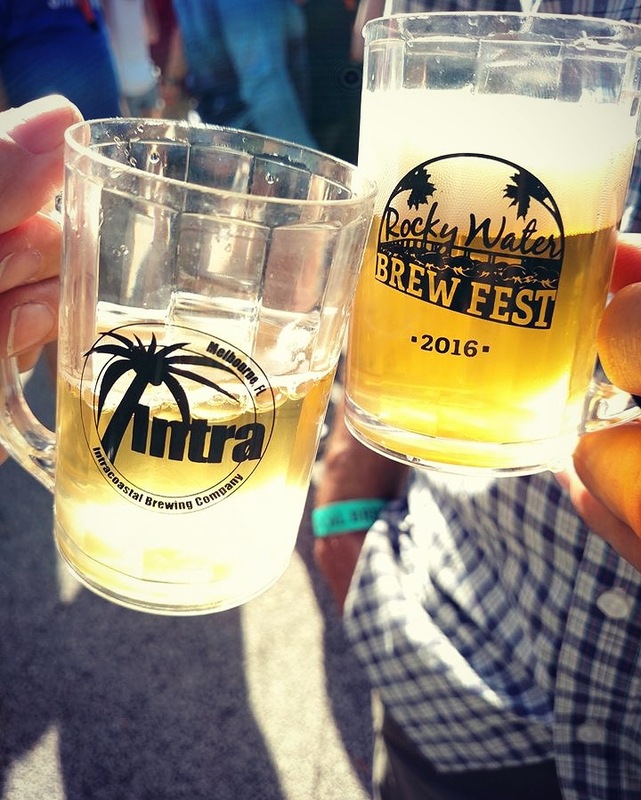 Thank you all from the bottom of our hearts for yet another incredible year at Rocky Water Brew Fest! So far this is one for the books. With our hectic rescheduling thanks to Hurricane Matthew, we could not have made this happen without the help of our flexible brewers, supportive sponsors, and all your thirsty patrons who patiently waited for the new date to arrive. Turns out is was meant to be, as the weather couldn’t have been more perfect and we actually gained 4 breweries on the lineup! Rocky Water 2016 delivered, that’s for sure. You’ll start seeing a new event called Girls Night Out on the last Tuesday of every month. We’ve started a women’s forward group called the Spunky Brewsters, who are dedicated to beer education and community involvement. Each meet we will talk about a new beer topic of the month and plan for our next charitable event. All women are welcome regardless of experience in beer knowledge. If you’re on Facebook be sure to like and follow our page, Intra Spunky Brewsters. In the midst of the holiday season, how can you not focus on giving back to those in need? We’re kicking off our holiday season by hosting as a food bank drop box location leading into Thanksgiving. Come visit our brewery during our posted tasting room hours to bring a non-perishable food donation that will go to a family who is struggling to feed their household every day. Let’s feed Brevard this Thanksgiving! Cheers!